We had a question from Nate, (not his real name) who is an artist that will be showing aviation art at the NBAA show in Orlando this year. We have some advice about how to sell more! Follow up with specific customers after the show about their favorite piece. 1. Buy, borrow or build a list of potential buyers. Just showing up at a trade show, and having a great booth, does not guarantee that you’ll have foot traffic to your booth, or make sales. You’re investing a lot in booth rent and travel. 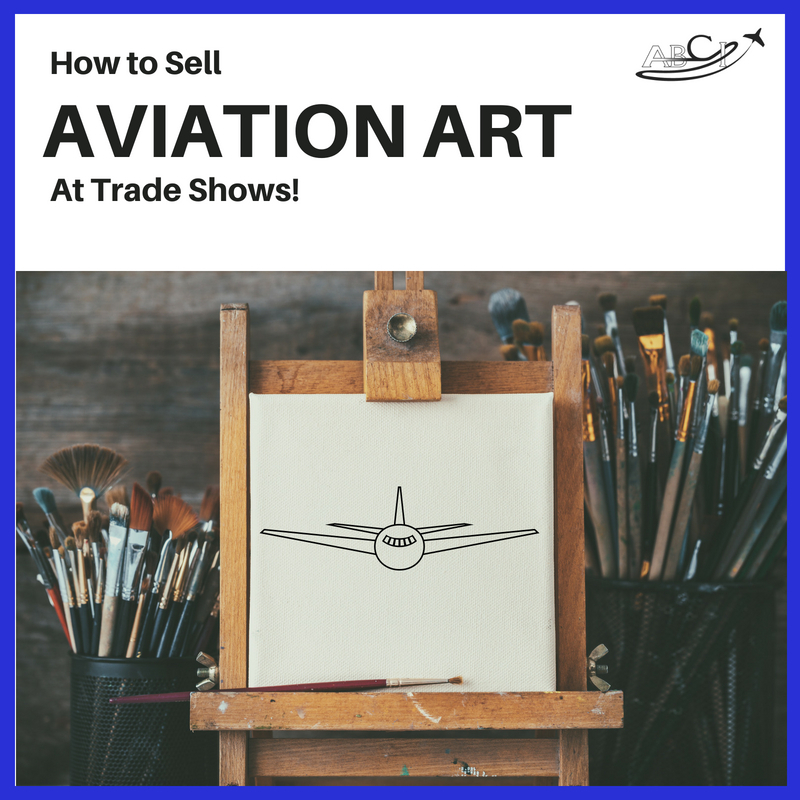 If you’re looking for advice on how to sell aviation art at a trade show, our first piece of advice is to invite as many people as you can to come see your art! 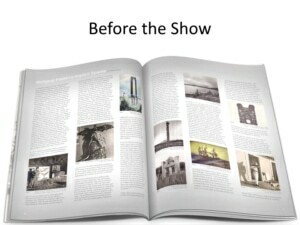 Besides photos, include the story behind each piece, and information about how the art is created. There is not a lot of overlap between aviation professionals and art professionals – so you’ll have to assume that your buyers don’t have a lot of expertise in how to buy art. Of course they will fall in love with some of your pieces, but even so, they will have to justify the purchase to themselves, to their board, to their accountant, or their best friend. Also list galleries and installations that feature your work. 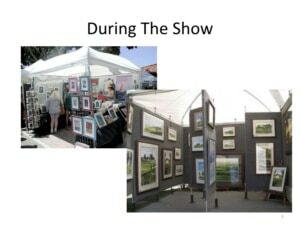 You’ll also want to explain the differences between the types of art you’re selling, and others on the market. Most non “art people” aren’t clear on the differences between an original, limited edition, or part of a series, or a reproduction. You can help them become more educated and confident in making a purchase by including all of this information in your catalog so they’re well-informed when they visit your booth. Some of your pieces will naturally be more prominent than others, no matter how well-designed your booth may be. You can feature a different piece each hour in your most prominent display space. That way, as people walk by more than once, they will see different pieces. You can also invite guest speakers to provide a brief (5-10 minute) lecture or discussion about the subject matter of your art. Invite a pilot who flew that aircraft, or a historian familiar with the period, or even an aircraft designer who can speak about a particular aviation topic. 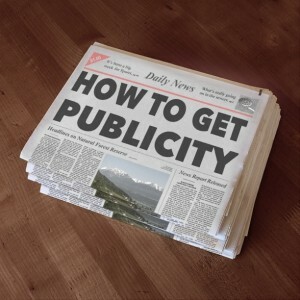 Publish a schedule of these appearances, and make certain you have a few “family and friends” to attend each presentation or lecture. People will stop and listen! Collect Leads – offer catalogs in exchange for business cards. Make notes on the back of each business card about which piece the person asked questions about or spent the most time looking at. Send all of your leads repeated follow ups by mail and email. Schedules of where to see your art next. Each piece you sell, and each event you attend, extends you network as an artist, and improves your chances of selling you next piece at the price you want. Need Help Selling Aviation Art? Download our Trade Show Checklist, or find 30 minutes for a free consultation to talk with us about how to meet your goals! This entry was posted in Aviation Sales Questions. Bookmark the permalink.